When criminals get their hands on money through illegal means, they need to have a way to get their money “laundered”, which means to have dirty money made clean again. In simple language, that means making criminals’ ill-gotten gains appear legitimate. One way of laundering profits is for criminals to attain the identities of other people, in order to open bank accounts, get credit cards and write cheques in their names. This form of identity theft is simple: a way for criminals to make it difficult or impossible to trace their profit trail back to them. All a criminal needs to steal your identity is a few simple facts, such as your bank account details, date of birth and address. From there, it’s easy to set up a bank account or get a chequebook in your name. That’s not all. The people who steal your identity could even take over your existing accounts, and gain access to your money. In fact, they can even change the address on your account, so that you no longer have access to your paper statements or other correspondence from your bank. It is estimated the in the UK alone, identity theft costs the economy about £1.2 billion per year. But that’s not the only price we pay. 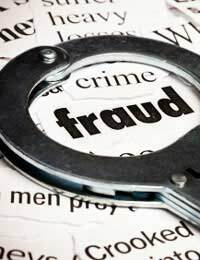 If you are the victim of identity theft when it comes to money laundering, you could be held responsible – until you prove that you are actually the victim. Sadly, that can be a very difficult and time-consuming process. Checking that the individual is really who they claim to be, as well as profession etc. Money mules are people who, inadvertently or on purpose, transfer money that has been illegally “earned” in one country to another country. Often, money mules are paid a sum to complete the transaction, but sometimes they are unaware of what they are doing. Don’t let someone steal your identity and turn you into a money mule - or a money launderer. Make sure you shred and dispose of important letters, documents and bills, and never give out personal information unless you are sure why, and to whom. WHO is asking for my details? WHAT type of details do they want from me? WHY do they need to know these specific details? Don’t become a victim of money laundering, when so often it is easily preventable. Avoiding becoming an identity theft target is the first step, and can save you months – and even years – of misery.